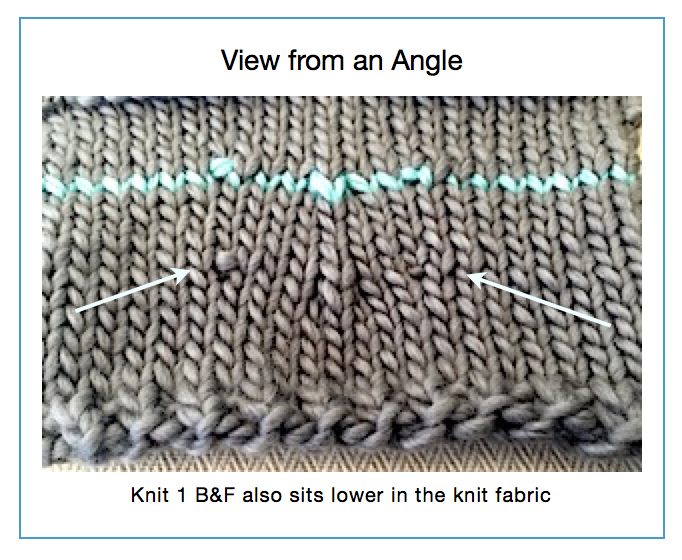 Knit 1 front and back (also known as the bar increase) is one of the most common non-eyelet increases we use, but it leaves a noticeable horizontal bar in the knit fabric. Wouldn’t it be nice if there were a simple modification that would reduce the impact of the bar, but maintain the simplicity of the technique? I am so glad you asked! Let’s take a fresh look at one of knitting’s standard increases and see if we can tweak it a bit. Grab your needles and some scrap yarn so you can see what happens when we reverse the order and knit into the back first. Cast on 20 stitches or so, knit a few rows of stockinette, then try the standard k1 f&b; as you twist the right needle around to the back to knit into the back leg of the loop you’ll remember pretty quickly how awkward it is. The issue with this increase is that the 2 stitches are knit in opposite directions, the first stitch twists right and the second left. This makes it stand out next to all its run of the mill neighbors. When you knit into the back then the front, the second step twists the left leg of the yarn loop counter clockwise. There is a twofold impact, first the twisted loops don’t fight each other and sit better in the knit fabric. Second, the vertical leg (that now looks like its neighboring stitches) sits in front of the horizontal bar somewhat masking it. I’m much happier with the result, and think you will be also, especially with bulky yarn or when the pattern calls for several increases. Tip: When knitting the original or new version of the increase, make sure that first stitch is not too loose. It’s easy for it to stretch out. The result also looks better from far away. Take a look at this picture taken across the swatch. 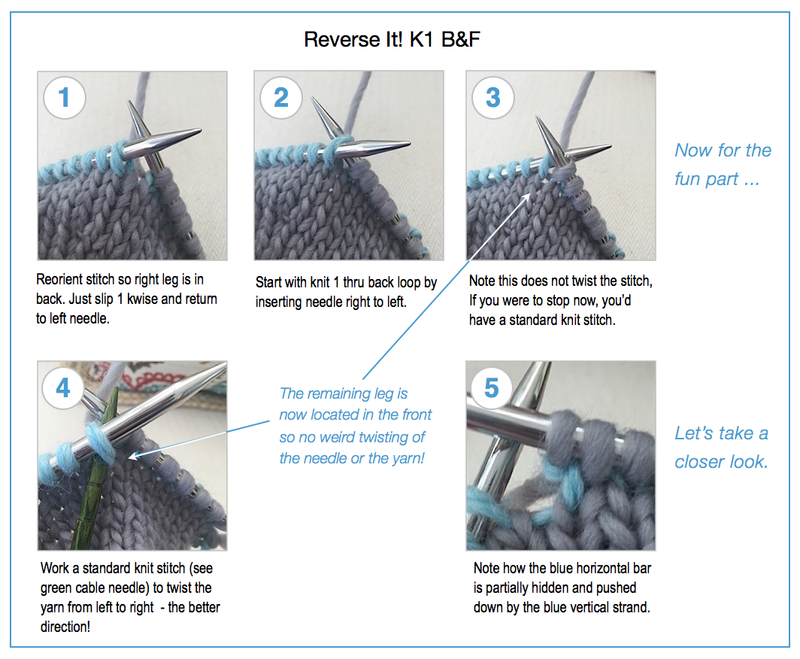 Update: There were a few questions on Knitting Paradise so I’ll add a verbal set by step here. Once you ‘get it’ you’ll never need to read the directions again. Reorient stitch: slip 1 knitwise and return to left needle just as you would if you were preparing for a ssk decrease. Knit 1 into back loop, but leave stitch on left needle. 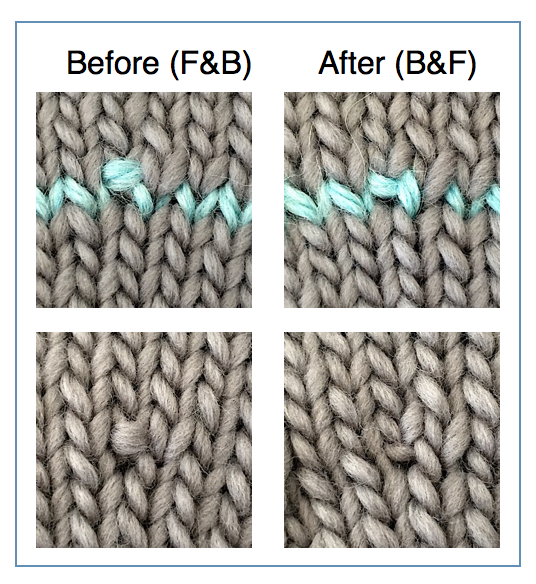 Make sure this stitch stays tight when you knit the next stitch. Knit 1 into the same stitch in the regular way. Done. Give it a try. I look forward to hearing what you think. 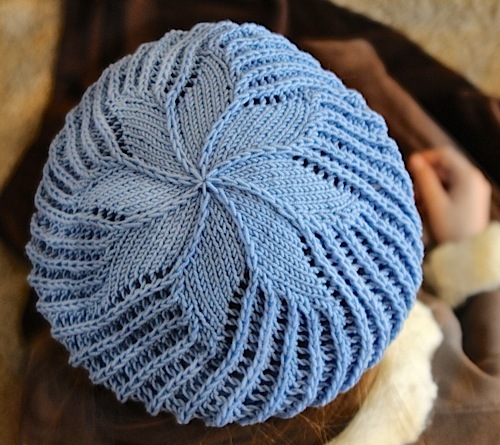 We’ve updated this Estrellita Hat pattern to use this increase. 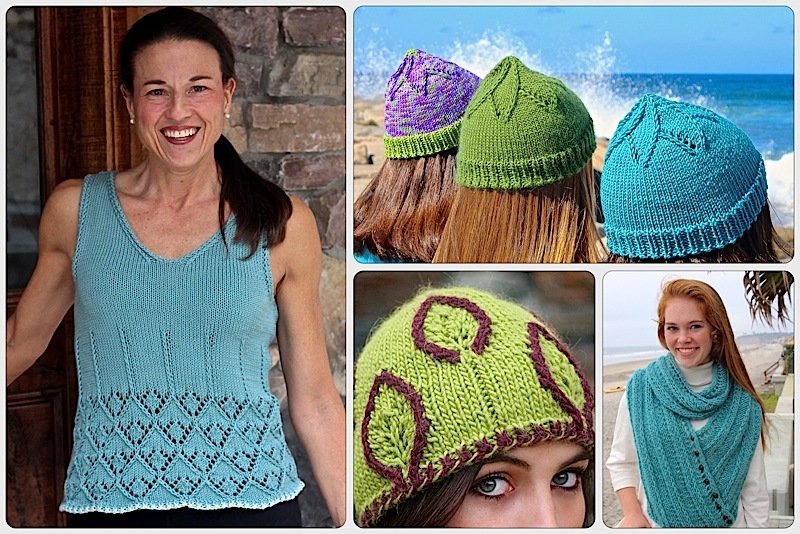 There is a free Ravelry pattern code for November 2015. It is BlogBonus. Don’t forget you can get free tutorials for all of our “Nuances” on our website Techniques section including the Showy Decrease and Flat i-Cord. So very clever! Any day is a good day that brings me a better way to do something. Thank you! oh, looks like a big improvement! I will be trying this out – thanks. Great improvement with this technique. I might try this. Am I wrong, or is the picture with the grey new version in side by side comparison upside down? It looks more like a decrease this way. Harma, you are absolutely correct!! It was upside down and worse, I flipped it originally after staring at it a few times. It’s been fixed. Thanks for the eagle eyes. Wait what am I doing with the green cable needle? Nothing, don’t worry! The photo just wasn’t clear enough so that was just for visual purposes. The first line of text under the first picture reads “The issue with this decrease “. Shouldn’t that be “increase” ?? I’ve just discovered your site and I see a lot of new thinking in my knitting future!!! Thanks so much for making these new ideas available to us all!!! Decrease? What decrease, I don’t see it! Only kidding. You spotted it, I did not. I fixed it, thanks for the heads up. This is great! Do you think this switch can be made in every pattern that calls for kf&b? Hi Marissa, I think so. I can’t think of a reason why not. In a pattern I am working on now I used both because I found that one leans a little right and the other left. But since the goal is to reduce the impact I say go for it! Now THIS is what I call helpful ! This entry was posted on October 6, 2015 by Laura Cunitz in Nuances, Other Nuances.